This post was sponsored by The Women Bloggers. All opinions are honest and are my own. 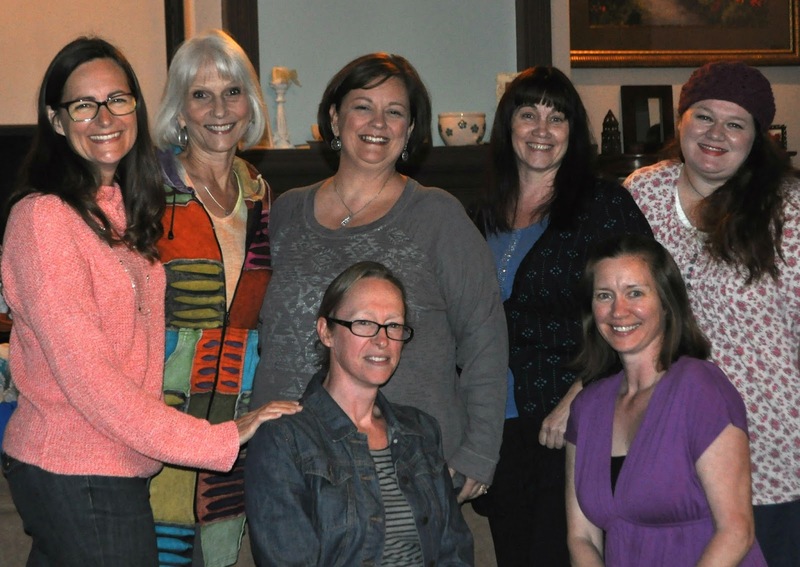 Earlier this month, my friend Letitia and I hosted a going away party for our dear friend Connie. Her family is settling down about three hours away and we are all really going to miss her! We said goodbye with a Mexican fiesta---Connie's favorite kind of food. I made some yummy wraps with Bush's Southwestern flavored Hummus Made Easy and they were a hit! 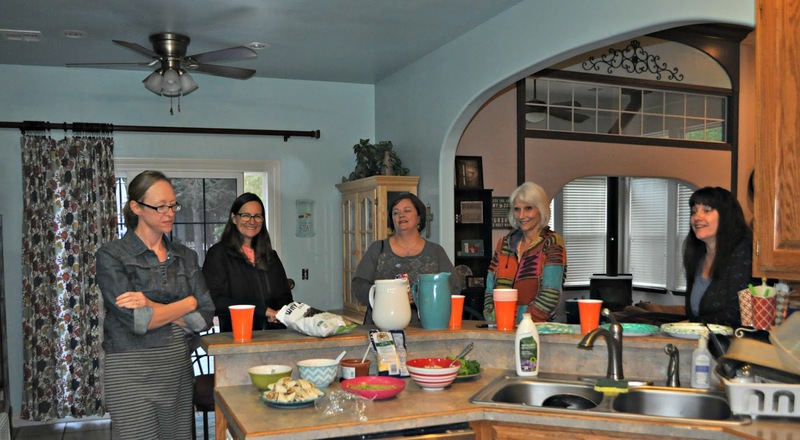 It was such a blast to get some of my favorite foodie friends together and sample everyone's potluck dishes. I love trying new things at moms' get-togethers because I can try a little bit of something without spending extra money on ingredients I'm not sure my whole family will eat. It's a get way to get new recipe ideas. Letitia and I had been planning this party for a couple weeks, but when the week finally arrived, I found myself swamped with lots of end-of-the-school-year obligations. I wanted to bring something delicious and a little out of the ordinary to the potluck, but I was worried I wouldn't have a lot of time to prepare it. 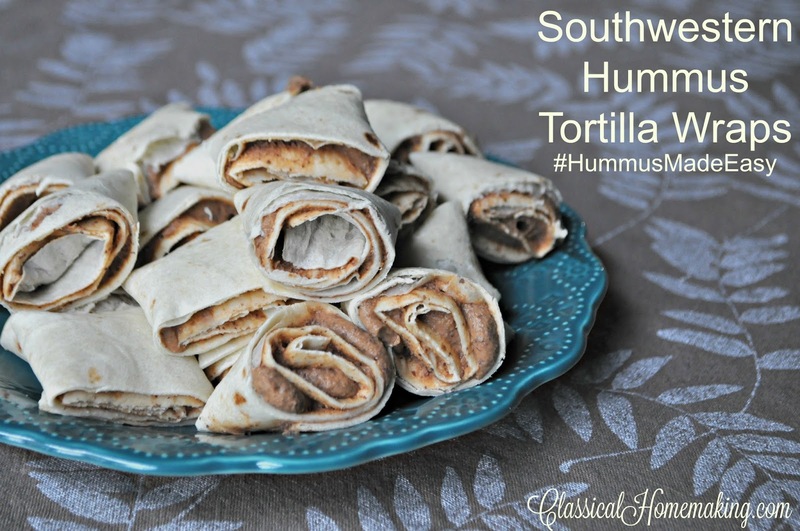 These Hummus Made Easy packets really are a life saver! 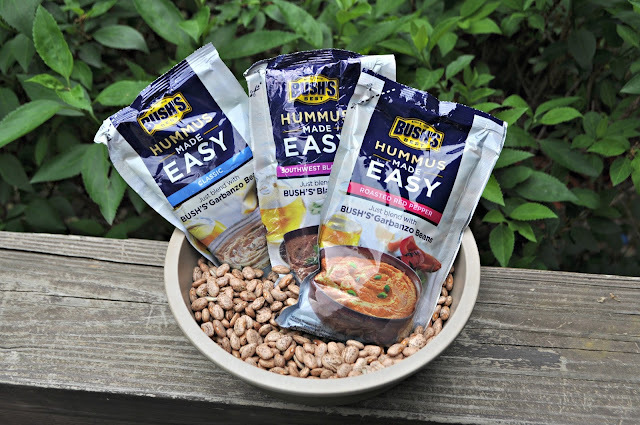 Just blend the contents of the packet with one can of Bush's beans for a super fast and simply-made bowl of hummus. All the seasonings, oils, and other ingredients that you love in hummus are already combined in the pouch. After I prepared the hummus, it was just a matter of spreading it round these flour tortillas and rolling them up to cut into pinwheels. 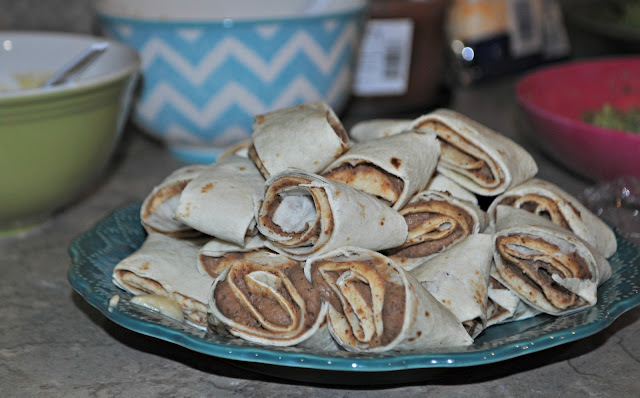 It took all of 10 minutes to make a whole plate of hummus wraps. 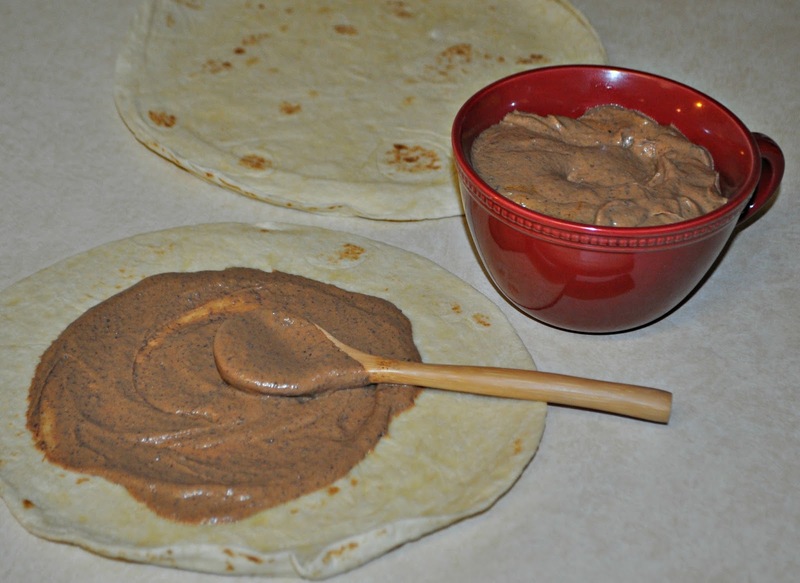 This simple recipe is great for last minute guests---or last minute parties. With no preservatives, I feel I'm giving my guests a good quality snack that I can make fancy by adding extra mix-ins, or leave simple as I've done here. 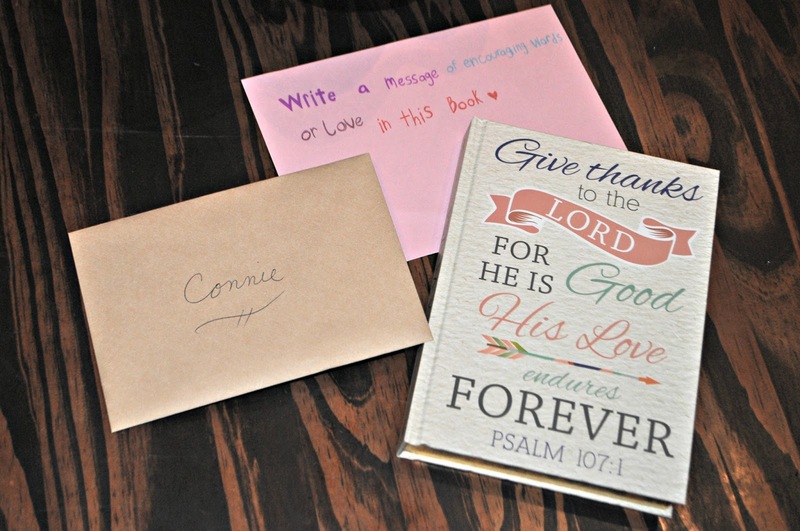 Along with our Mexican flavored meal, we had a little gift-giving time for Connie and everyone signed a page in this journal, telling her how much we love her and her family. Our party was a success and we sent our friend off with a happy goodbye. Best wishes to you, dear Connie! You are loved in Northwest Arkansas! Look for Hummus Made Easy at Walmart near the canned beans. Let me know what you make with it. I'd love to hear your great recipe ideas! I have never had hummus. Thanks for the instructions. I am sorry your friend has moved!